Happy Saturday evening All! I must be almost back to my normal self after fighting a very bad cold or two over the past couple of weeks. Geesh has my energy been swiped! 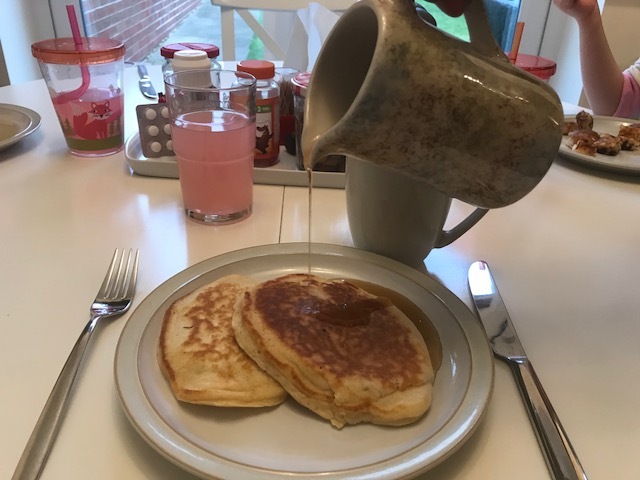 Pancake Day is Tuesday, so in preparation for that yummy day, I'm going to share the recipe I use every single time I make pancakes at home... oh yeah, they're the fluffy American version... and they're soooo good. I also want to introduce you to Shoppix - an app that earns you rewards when you snap pictures of your receipts. Recipe from a Betty Crocker cookbook. Recipe for 6 pancakes; can be easily doubled. 1. Beat egg in medium bowl with whisk until fluffy. Beat in remaining ingredients except butter until smooth (but don't over mix). 2. Heat a griddle or skillet over medium heat. Grease with butter to prevent sticking. 3. For each pancake, use a 1/4 cup measuring cup to scoop out equal-sized pancakes. Cook pancakes until bubbles rise to the top of the pancake then flip pancake to allow to cook for a minute on the other side. 4. Serve with warmed maple syrup. 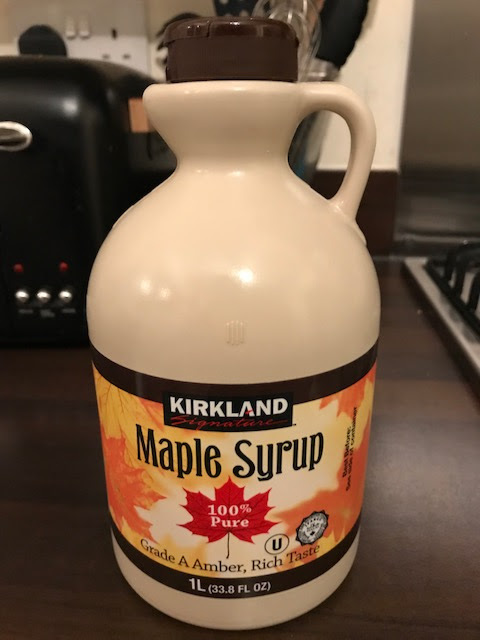 We use Costco's Kirkland 100% Pure Maple Syrup. This 1L jug of syrup works out cheaper per 250ml than the maple syrup from Aldi. We sometimes enjoy pumpkin spice pancakes, banana pancakes, chocolate chip pancakes and oatmeal pancakes. There are so many variations! On Pancake Day, we'll probably have savoury pancakes, but I haven't decided what exactly. I downloaded the Shoppix app last month with the aim of finding little ways of making money with little effort. So far, it has been quite easy - I simply submit a picture of my receipts and collect tokens, which can be redeemed for gift cards from Amazon.co.uk, iTunes and Love2Shop. I can also earn tokens by earning bonuses, taking short surveys and referring friends to Shoppix. It's really not complicated or time consuming. I haven't redeemed any tokens yet, but they're adding up quickly. If you'd like to try Shoppix for yourself, feel free to use my referral code BWYWDADY when you download the app and sign up. We could both earn 200 tokens! Aquafresh toothbrush for Ellen - 95p, which I saw a little while later at Tesco for £2! Then I went to Tesco - I won't go through everything I bought there, but one thing I really love are the FREE Tesco magazines that can be found at the checkouts. I pick one up on the way in to look at the page of coupons in case there's something I can use in store. Once home I made homemade ranch dressing mix to make a dip for veggies to have with lunch, then lunch, then dishes... boring. I did, however, listen to the inspiring Retire Inspired Podcast while I was making lunch. We spent the afternoon organising the girls' rooms; in attempt to de-clutter, I managed to give away a chalkboard easel that we had been given, but nothing else I posted on the Facebook selling pages sold yet... bummer. Something that frustrates me soooo much is the cost of soup at the grocery store... it's sooo expensive for what you get. Think about it! It's mostly water and vegetables! So although I did buy a small container of carrot and coriander 😝 soup for £1 at Tesco for the girls for tomorrow's lunch, I made a huge pot of my favourite curried butternut squash and lentil soup this evening to last us a few days plus some for the freezer. Here's the link to the recipe. 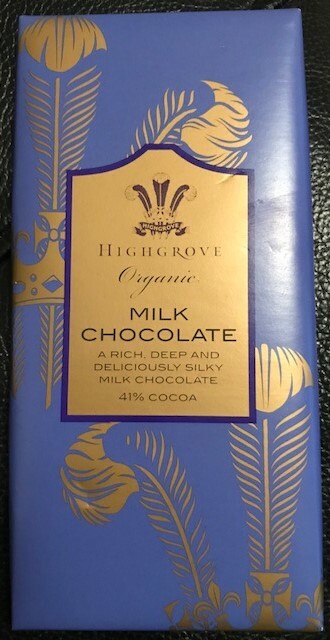 My super-exciting, envy-inducing day has concluded with submitting receipts on the Shoppix app, updating our budget and writing this blog while enjoying this super-amazing bar of HRH Highgrove Milk Chocolate... with the hubby, of course. This bar of chocolate was part of a Fortnum and Mason gift basket we received for Christmas (my friend, Pam, really truly knows the way to my heart), but out of curiosity, I perused the Highgrove website for said bar of chocolate.... £3.95!!! What?! Sooo delicious. And there's a salted almond chocolate bar, too. Oh, yes! Pancakes, Home Bargains, Tesco, organising, soup, Shoppix and a bar of chocolate.. that's what dreams are made of, right? Not exactly, but that was my day. How was yours?